Usually bar prep companies will try to approach you during your first year of law school to offer you special rates for signing up for their program early. But, how do you know what one is right for you to take? I committed to BARBRI early because it had a great reputation, and the price was good. I also should preface this post with saying that during my third year of law school, I became a BARBRI student rep, and am currently a BARBRI bar prep tutor. Thus, I have a strong affinity to the program and trust it whole heartedly. However, I want to provide a general guide to picking a bar prep company since there are so many options to choose from. Below are some general tips for choosing a company. This is obviously a no brainer, but there are some bar prep companies that only cover particular states. Thus, it is a good idea to check this out before you begin your search. Some programs don’t offer classes in certain states. I think BARBRI might be the only classroom experience offered in South Dakota, although I am not 100 percent sure. If you are a student who needs a classroom to learn, then make sure you will be able to get into a program that offers this service. If you are not a classroom person, make sure the program offers an online class or lecture series. Most programs do, however, it is a good idea to make sure. Also, make sure to actually test the product to see if you like it before you buy. Most of the time you can ask a bar prep rep to show you how to use the program. This will give you a good idea what you will experience while studying. I studied solely on my own– either at home, at a library, or at a coffee shop. BARBRI had lectures and questions available online, as well as an app. that I used to listen to lectures while driving, which was nice! Ask if the program has attorneys or staff to answer bar prep questions. Sometimes it is nice to be able to ask a real person a question while you are studying. Also, check to see if the program has a tutoring option if necessary. Some students prefer one on one assistance, and if you are one of those people, make sure you will be able to get that if necessary. Finally, see if the program offers essay grading. 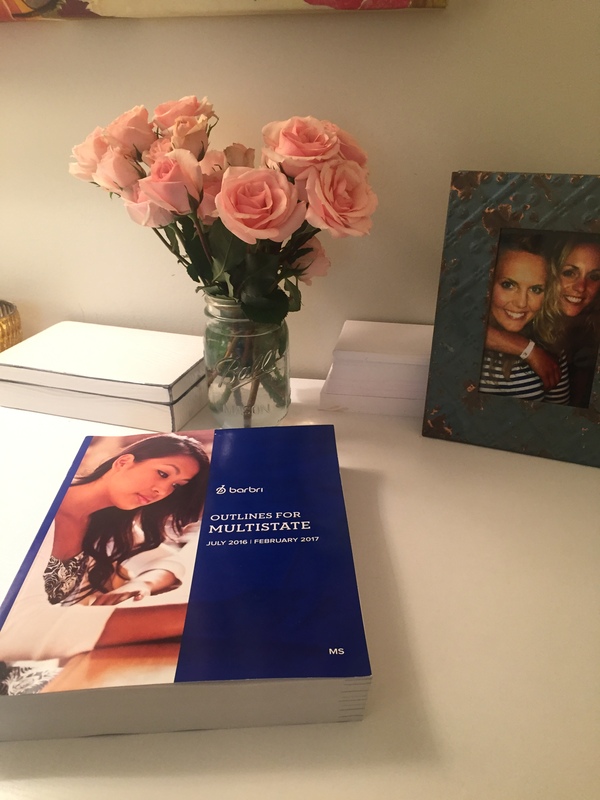 I know BARBRI will provide practice essay questions and then have graders grade them, scaled to a particular state. This personalized feedback is nice because it shows if you are strong in essay writing or if you need to improve. Does the program have a manageable study schedule? Are there scheduled breaks? Again, I will speak about BARBRI because it is what I know, but BARBRI had a schedule of what to study each day, how to study, when to take a break, and provided general wellness tips for you while studying. Check to see if other programs offer this, because for me, it was really nice knowing what we were going to study each week. It made the program more manageable. You really don’t need to study 70 hours per week to pass the bar, but you need to make sure that you are studying enough and effectively to get a passing score. For some people, having an outlined schedule is nice and makes things less overwhelming. Some programs will offer discounts if you sign up early, like in your first year. Some programs also offer discounts if you plan to work in the public sector. Finally, see if there will be any special rates going on. Regardless of the bar prep company you chose, you will spend a good amount of money, so make sure you are getting the best deal. Make sure the program has been around for a while, and has a strong success rate. I would not recommend using a new program that does not have a proven success rate. You only want to take the bar one time, so make sure that the bar prep company you choose will help you. This is just a general list to help, but if you have any specific questions, please comment below! Thanks for reading!